With Part I of our Palace Gates Project installed, Part II will complete this romance-of-rail intervention. 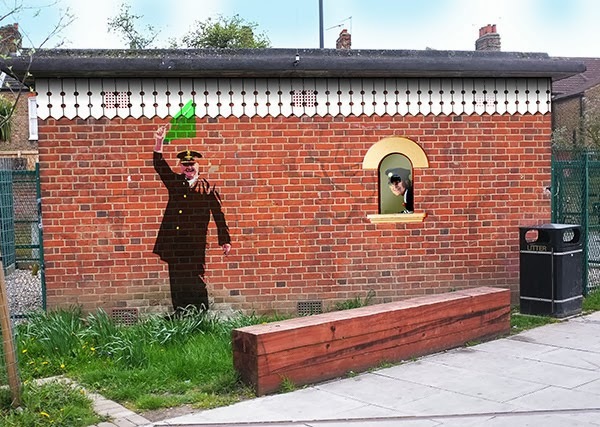 Incorporating the original detailing from the Palace Gates Station, TAG will be decorating the side wall of an electricity sub station. For this we have carefully consulted with UK Power Networks and Haringey Council, both of whom generously gave their permission for this artwork to proceed.